At Argos you'll find a great selection of Argos sideboards and dressers that really light up a room and add functional storage solutions at an affordable price. 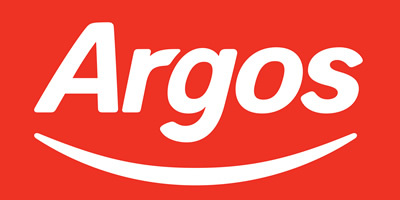 With Argos you'll always find a great deal and the cheapest prices so this selection of sideboards has been selected with the best prices, latest offers and general quality that you're looking for at Argos.co.uk. Most of these sideboards are self assembly but there are some that come fully assembled too. You'll find a great range of collections such as Elford, Westbury, Bailey, Kent and Anderson as everyone has different styles and tastes when it comes to their living room, dining room or hallway. They have a great number of effects such as wood, oak, white and oak effect which makes the sideboards cheaper but also keeps the quality you expect when shopping at one of the hundreds of Argos stores around the UK. Create a well-crafted, country-style look in your lounge with the Pembridge 3 Door Sideboard. Made from solid oak and oak veneer, it has a robust, sturdy build. And it shows off all the natural knots and grains of the wood. The drawers feature a decorative finger joint design and run on smooth wooden runners. Plus the cupboard features a shelf inside for an extra tier of storage. Conical handles complete the look of this rustic piece.